Round one of the Italian Serie A went as expected with majority of the favourites claiming victories. Round one of the Italian Serie A went as expected with the majority of the favourites claiming victories in the opening gameweek. The International break comes into action next weekend so let’s make the most of round two’s full set of fixtures. Genoa will be looking to keep champions Juventus quiet on Saturday evening, but that’s always going to be easier said than done. Genoa managed a point at Sassuolo in round one, claiming a goalless draw in a game that lacked goalmouth action. Juventus raced to a 3-0 victory over Cagliari in the opening matchday and will be determined to build on that with their title-rivals also showing plenty of promise in the opening stages of the new season. The Old Lady have lost this meeting 3-1 last season but will be sure not to make that mistake again. The away win is tipped at 9/20. Newly-promoted Benevento were excellent at home last season with 13 wins from 21 matches. Bologna travelled poorly with 10 losses from 19 games. Benevento started the campaign with a hard-fought 2-1 defeat to Sampdoria, while this week’s opponents earned a 1-1 home draw against Torino. Benevento will be hoping to claim a victory in their first home game and Bologna will feel this is the perfect opportunity to claim maximum points, going up against the newcomers. However, home advantage could prove to be the difference and Benevento are tipped to edge it. The Serie A match of the week will see Roma and Inter Milan go to war in Saturday’s final clash. 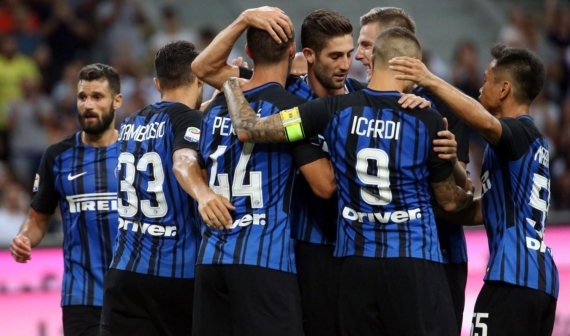 Both sides made tremendous starts to the new season with Roma grinding out a hard-fought victory at Atalanta and Inter Milan smashing Fiorentina 3-0 on home soil. When these two sides meet, a fiery affair can always be expected with four of the last six meetings producing Over 2.5 Goals. Both sides look set for great campaigns and I’m backing Both Teams to Score – Yes – at 11/20. On to Sunday’s excitement and Torino and Sassuolo will get things underway. Both teams settled for a share of the spoils last time out, with Torino earning a 1-1 draw at Bologna, while Sassuolo played to a goalless stalemate against Genoa. The last two meetings at Torino’s ground between these teams have produced 12 goals – giving you an average of six a game. Both sides failed to impress last time out but I feel neither will want to head into the international break without a win to their name. Another high-scoring affair is tipped so get on the Over 2.5 Goals market at 7/10. Newcomers Spal did well in their opening match to hold Lazio to a goalless draw at the Stadio Olimpico. Udinese, on the other hand, were disappointing as they went down 2-1 on home soil to a fired up Chievo side. Both teams are expected to have a go but following last week’s commendable stalemate at Lazio, Spal just might be confident enough to bag all three points. The home team should be backed at 16/10. Chievo and Lazio will clash on Sunday evening in what is likely to be a cracking contest. The home side started the 2017/18 campaign like a house on fire, claiming a deserved 2-1 victory away to Udinese. Their opponents, struggled in the opening gameweek as they were held to a goalless draw at home against newly-promoted Spal 2013. Chievo are looking strong and they look well worth a punt on the Win/Draw Double Chance at 7/10. AC Milan are looking like a team ready to mount a genuine title-challenge. The Rossoneri opened their account with a smashing 3-0 victory away to Crotone in round one and will be looking to maintain that sort of winning form. Cagliari were on the wrong side of a 3-0 scoreline as Juventus ran riot last time out. Their record doesn’t read well at the San Siro, suffering defeat in the last 12 meetings against AC Milan. However, for more value, get on the Half-time/Full-time AC Milan win at 6/10. Crotone and Hellas Verona will look to earn their first points of the season when the sides clash on Sunday evening. The home side were humiliated last time out as AC Milan came to town for a smash and grab 3-0 victory. Hellas Verona will also be eager to bounce back from their 3-1 drubbing against Napoli. However, neither of these teams offer much going forward and the Totals – Under 2.5 Goals – market looks ripe for the taking at 13/20. Napoli and Atalanta will go toe-to-toe in round two of the 2017/18 season. The hosts made a terrific start to the campaign with a 3-1 victory away to Hellas Verona, while Atalanta suffered a 1-0 home defeat to title-chasing Roma. Atalanta upset the applecart last term, claiming the double over Napoli. Revenge is a dish best served cold and that’s what the Azzurri will be after. Back Napoli to make it back-to-back wins. Fiorentina will welcome Atalanta to the Stadio Artemio Franchi on Sunday evening. The hosts were thrashed last time out as Inter Milan bagged a comfortable 3-0 victory at the San Siro. Sampdoria played to a hard-earned 2-1 win over Benevento and will look to add to that win. The Viola are expected to be more organised and solid at the back this week. The Under 2.5 Goals market catches the eye at a 19/20, get on!